South Korea’s oldest throne hall has been opened to the public for the first time, displaying the beauty of the 17th century hall. 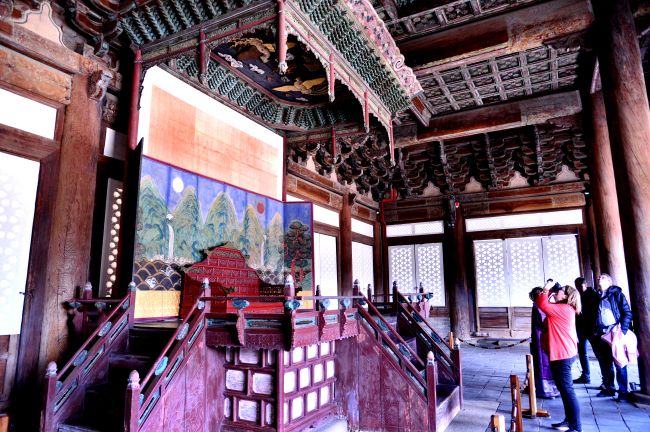 The main hall of Changgyeong-gung Palace, Myeongjeongjeon, is where the king attended to state affairs, holding meetings with officials and receptions of foreign envoys. 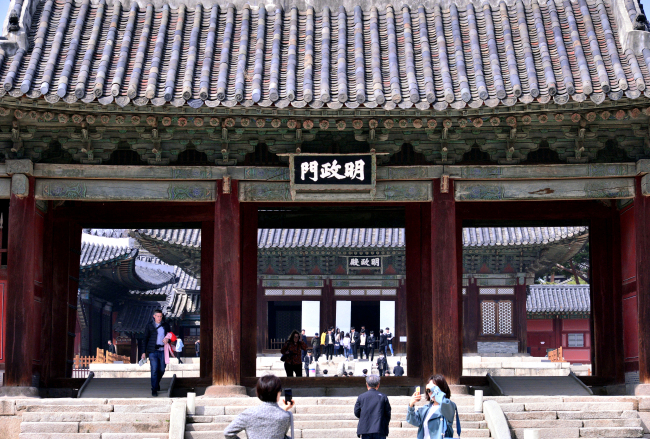 Originally built in the mid-15th century by King Sejong of Joseon Dynasty, it was destroyed during the Japanese Invasion of Korea in 1592 and rebuilt in 1616 by Prince Gwanghae. In the center of the chamber, a king’s throne is placed. 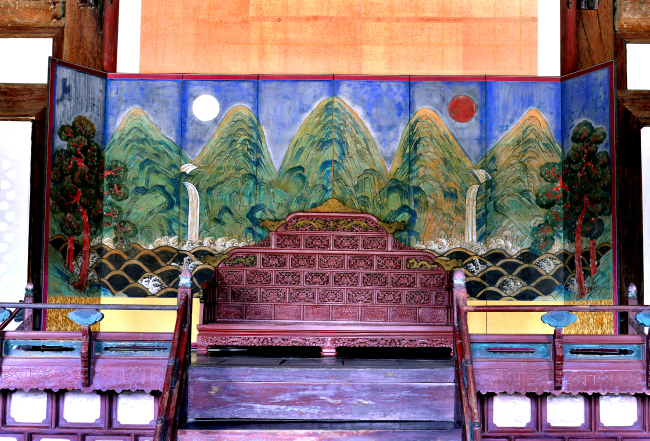 Behind it stands a folding screen with a highly stylized landscape painting of a sun, moon and five peaks known as Irworobongdo. 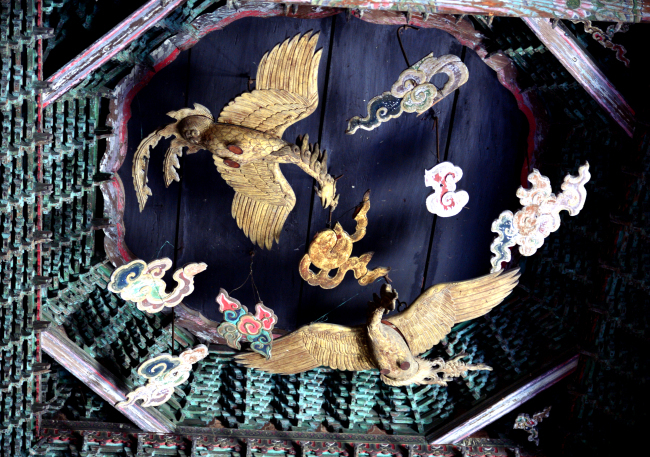 You can also see a pair of phoenix along with cloud in five colors. The national treasure was closed to the public on concerns over damage of cultural assets and safe management. The government decided to open it to the public after major maintenance works and with security guards watching over it. 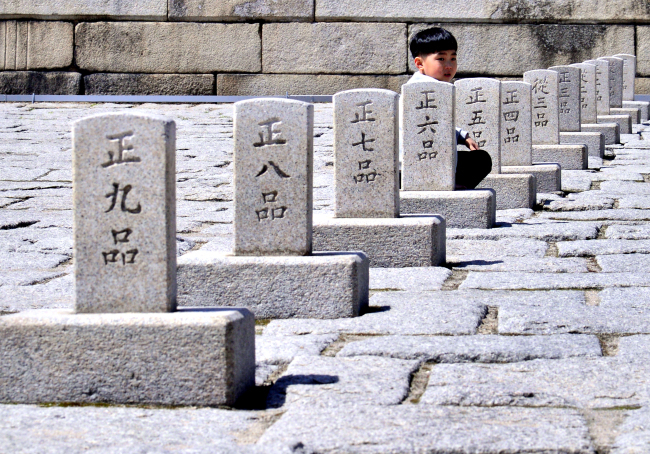 The tour of Myeongjeongjeon is available from April 2 to May 31 in spring and from Oct. 2 to Nov. 29 in autumn. A guided tour in English is available at 11 p.m. and 16 p.m. from Tuesday to Friday. The tour is limited to 30 visitors per session and will be on a first come, first served basis. In case of rain, the tour will be canceled to protect the cultural assets.